The Glass and Glazing Industry offers a range of interesting careers, from glass manufacturing, the repair and installation of windows, doors and solar panels, to glass decorating and glass warehousing. Depending on your role, you may work on commercial, residential or business properties; in a warehouse or manufacturing factory; or on large projects on construction sites. Glass installation and glazing will require you to work at heights and you will need to be prepared to work in all types of weather conditions, as this work is mostly outside. You may also be required to travel to different locations as part of your role. • the manufacture of flat glass, decorative glass or double glazed units. • the manufacture of aluminium or uPVC windows, doors, conservatories or curtain walls. • the installation of windows, doors, conservatories or curtain walls. • the installation of fascias, soffits, gutters and barge boards. • the distribution of glass related products from a glass related warehouse. Our glass Apprenticeships will help you meet the requirements required and give you the training and qualifications needed to work on construction sites. You’ll receive real-life training from experienced staff within your workplace, and be visited regularly by a specialist NLTG Tutor. Your Tutor will support and guide you throughout your Apprenticeship, making sure you develop the skills needed for your job role. As part of your Apprenticeship, you will need to complete a Maths and/or English qualification at Level 1 (ie Grade D/3) if you do not already have these qualifications. Depending on your Apprenticeship, you may also need to study an ICT qualification. Your NLTG Tutor will provide you with support and guidance. 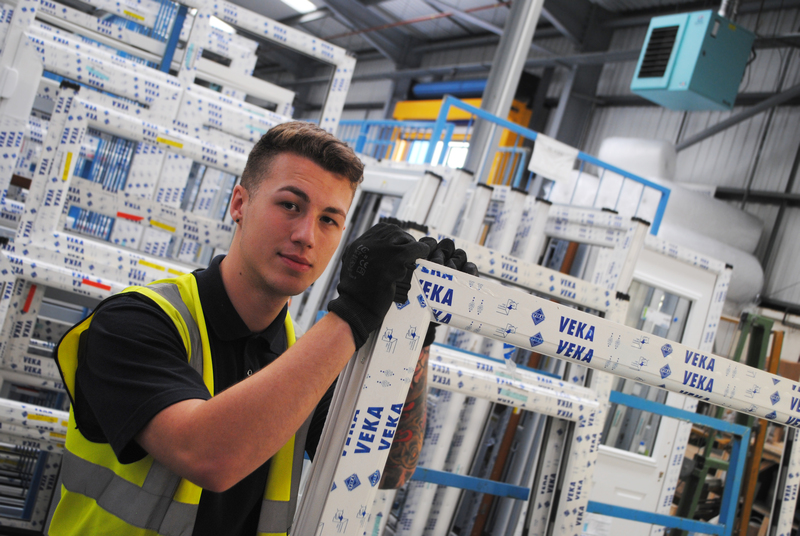 My job role as an Apprentice Quality Controller at Glazerite involves checking over windows and doors for any faults before they are dispatched. My employer has told me that I am a great asset to the company and the quality control team. I am looking to progress further, maybe in other departments where I can learn new skills and gain new qualifications.